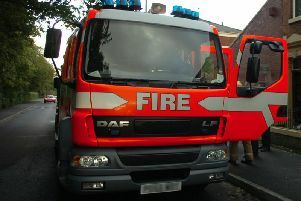 Firefighters in Lancashire faced more serious fires last year, the latest official figures show. It bucks the trend across England, where the number of fires dropped slightly after increasing each of the previous two years. In 2017-18, the Lancashire Fire and Rescue Service attended 2,143 primary fires – those which cause damage, and may involve casualties or require people to be rescued – 22 more than during the previous year. It represents a 26 per cent drop from the 2,887 recorded in 2010-11, when the data was first published. However, there were fewer primary fires in 2016-17, when 2,121 were recorded. April 2017 saw the most fires in the last financial year, with the Lancashire Fire and Rescue Service attending 214 during the month. There were six fatalities in fires in 2017-18, and 455 casualties. Nationally, there were more than 74,000 primary fires in 2017-18, a one per cent drop on the previous year, and 20 per cent% fewer than in 2010-11. In total, firefighters attended 333,000 incidents, including 166,000 non-fire incidents, the figures show. They also received 233,000 false alarms. The Fire Brigades Union has disputed the figures, saying that its own research shows fire staff are attending more incidents – but that the number of firefighters has been cut by one fifth. It said fire incidents rose by three per cent to just under 170,000 in the last year, the highest number for four years. The union added that, since 2010-11, more than 9,000 fire and rescue service jobs in England have been lost, representing a 20 per cent cut. General secretary Matt Wrack said: "It is true that firefighting is no longer about just fighting fires, it is about much more. "These figures reveal the immense value of the work of firefighters, and also the scale of the challenge they face with increased cuts to their numbers." A Home Office spokesman said: "The Government recognises the vital role firefighters continue to play in protecting communities. "Over the past 10 years the total number of fire incidents in England has nearly halved - down 46 per cent - and work to prevent fires from starting in the first place has seen real success. "We are confident that fire and rescue services have the resources they need to do their important work. Single purpose fire and rescue authorities will see an increase in core spending power of 2.3 per cent in cash terms in 2019-20."